Ever wondered what people actually meant by “he’s such a bad boy” or why “she’s a total free spirit” had anything to do with the plot of a movie? For one, archetypes play a large role in character motivation and dynamics. 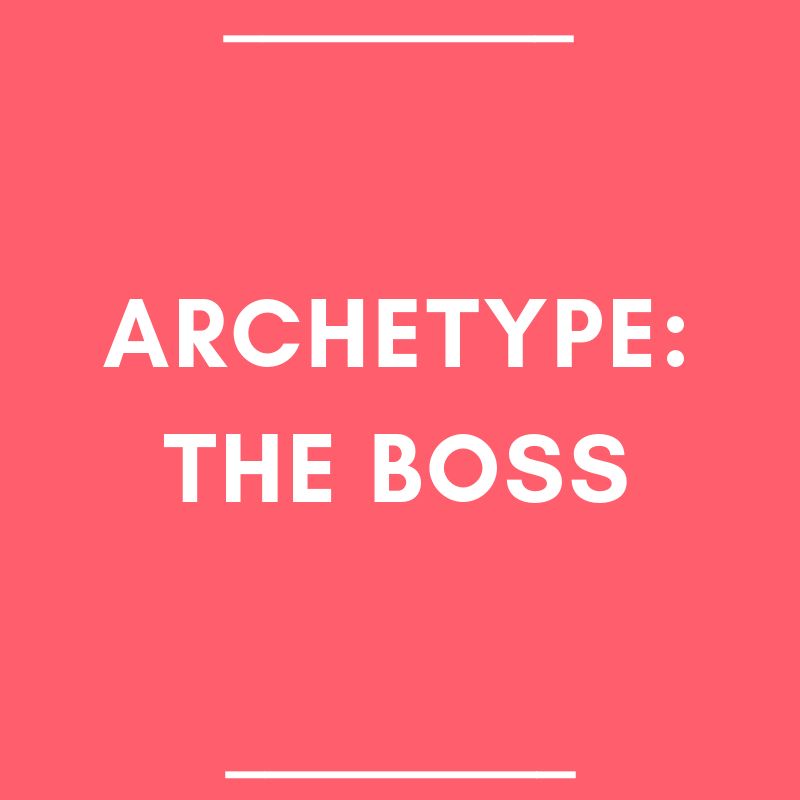 Plus, archetypes are a great way to codify and play around with our characters, especially in the romance genre where the story and stakes revolve completely around our heroes and heroines. Luckily for us, Tami D. Cowden (who has a quick guide on her website), Caro LaFever and Sue Viders came up with The Complete Writer’s Guide to Heroes & Heroines: Sixteen Master Archetypes, which I’ll be referencing throughout this blog series. This will be a crash course, an Archetypes 101 if you will, with examples from well known movies and television series. You’ll a pro at spotting seductresses, spunky kids, lost souls and more in no time. So, to kick off this series it’ll be ladies first with THE BOSS. The Boss is confident, dynamic, and competitive. She’s an achiever who knows her strengths. However, she can also be blunt, aloof, arrogant, intolerant and a workaholic. She is organized, ambitious, intense and can be absolutely ruthless when confronted or opposed. Even at home, she is a strict but loving mother to her son. Her relationships usually take third place to her work and family, but when she does fall for someone she’ll use all of her power to keep them safe. Murphy Brown is definitely not afraid to step on anyone’s toes if it means winning. She’s bossy and abrasive, but also very dedicated to her work. She’s not going to let anyone waste her time, get in her way or stop her from doing her job. Murphy values her journalistic integrity and she knows she’s a great reporter. She just lacks the understanding of collateral damage or compromise. Understandably bitter that she cannot inherit her father’s estate, Mary uses all of her wits, charm and resources as the eldest daughter to get her way. She’s used to being heard and obeyed, and has no qualms commanding a parlor room or fox hunt. She can be blunt and uncaring, especially when it comes to the feelings of her younger sisters and she doesn’t understand why they take it so personally. But at her core she just wants to win and keep her family’s estate within the family. So there you have it. The Boss is one of 16 Archetypes. Next up will be her hero counterpart (or perhaps rival): The Chief.